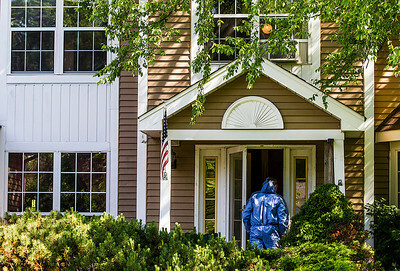 Kyle Grillot - kgrillot@shawmedia.com McHenry County Sheriff's deputies don protective gear before entering the house on Dartmouth Drive during the investigation of a "suspicious death" of an Island Lake woman Tuesday, June 3, 2014 in Island Lake. A forensic autopsy performed Tuesday afternoon suggests that her death was caused by blunt force trauma, the release said. 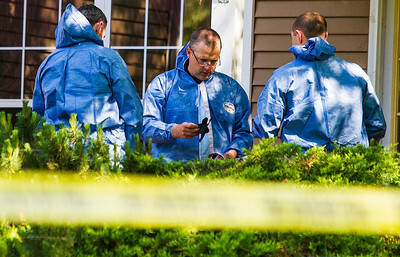 Kyle Grillot - kgrillot@shawmedia.com McHenry County Sheriff's deputies don protective gear during the investigation of a "suspicious death" of an Island Lake woman Tuesday, June 3, 2014 in Island Lake. A forensic autopsy performed Tuesday afternoon suggests that her death was caused by blunt force trauma, the release said. 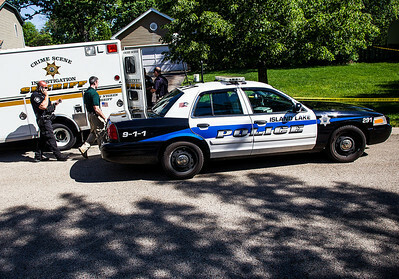 Kyle Grillot - kgrillot@shawmedia.com Island Lake police and McHenry County Sheriff's deputies investigate a "suspicious death" of an Island Lake woman Tuesday, June 3, 2014 in Island Lake. A forensic autopsy performed Tuesday afternoon suggests that her death was caused by blunt force trauma, the release said. 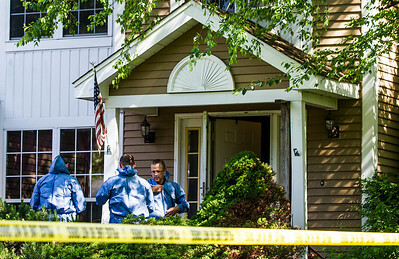 Kyle Grillot - kgrillot@shawmedia.com McHenry County Sheriff's deputies enter the house on Dartmouth Drive during the investigation of a "suspicious death" of an Island Lake woman Tuesday, June 3, 2014 in Island Lake. A forensic autopsy performed Tuesday afternoon suggests that her death was caused by blunt force trauma, the release said. 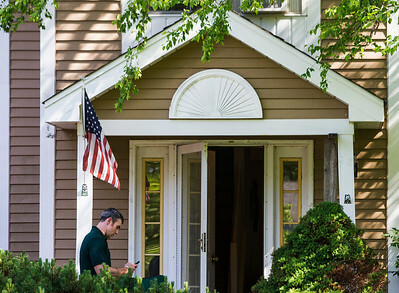 Kyle Grillot - kgrillot@shawmedia.com A McHenry County Sheriff's deputy uses a cell phone before entering the house on Dartmouth Drive during the investigation of a "suspicious death" of an Island Lake woman Tuesday, June 3, 2014 in Island Lake. 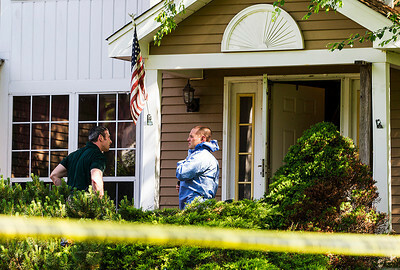 A forensic autopsy performed Tuesday afternoon suggests that her death was caused by blunt force trauma, the release said. 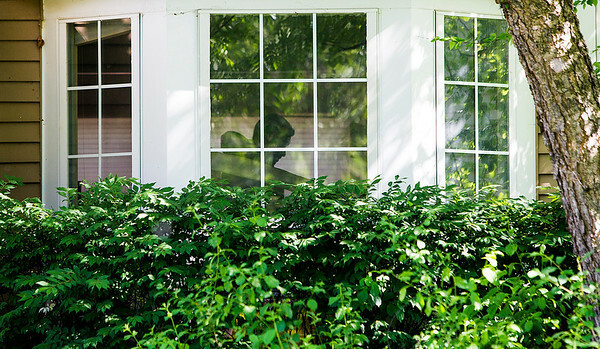 Kyle Grillot - kgrillot@shawmedia.com An Island Lake police officer watches over the scene of the house on Dartmouth Drive during the investigation of a "suspicious death" of an Island Lake woman Tuesday, June 3, 2014 in Island Lake. 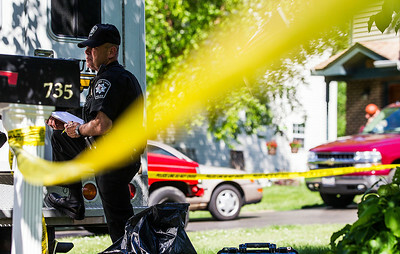 A forensic autopsy performed Tuesday afternoon suggests that her death was caused by blunt force trauma, the release said. 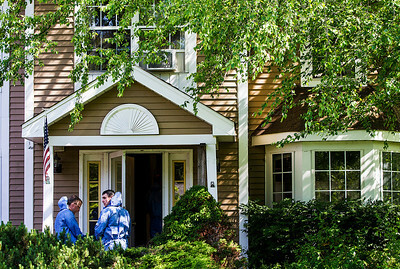 Kyle Grillot - kgrillot@shawmedia.com The house on Dartmouth Drive during the investigation of a "suspicious death" of an Island Lake woman Tuesday, June 3, 2014 in Island Lake. A forensic autopsy performed Tuesday afternoon suggests that her death was caused by blunt force trauma, the release said. 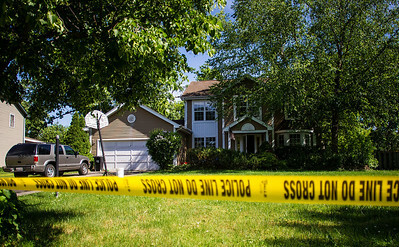 The house on Dartmouth Drive during the investigation of a "suspicious death" of an Island Lake woman Tuesday, June 3, 2014 in Island Lake. A forensic autopsy performed Tuesday afternoon suggests that her death was caused by blunt force trauma, the release said.